Opening of Chhandam School of Kathak branches in Los Angeles and Mumbai, India. Gala and celebration events around the 30th anniversary of the Chitresh Das Dance Company and the Chhandam School of Kathak. 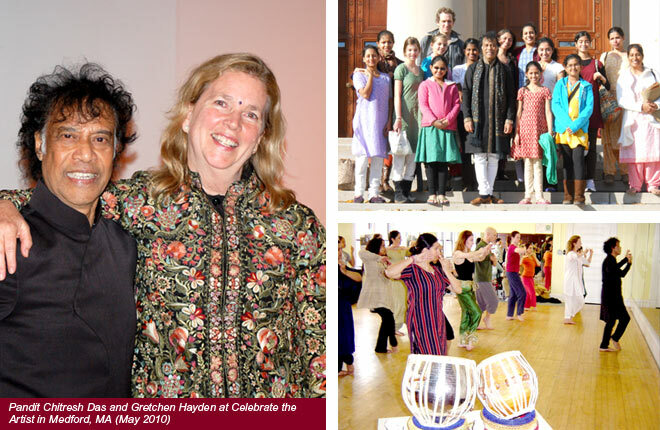 Traditions Engaged, an international festival of classical Indian dance and music, with a performance by Gretchen Hayden. Pandit Das spends several weeks in Boston, touring with India Jazz Suites, and leading classes and a retreat for Chhandika students. Chhandika hosts “Celebrate the Artist,” an evening honoring Pandit Chitres Das, kathak dance master, innovator and pioneer.